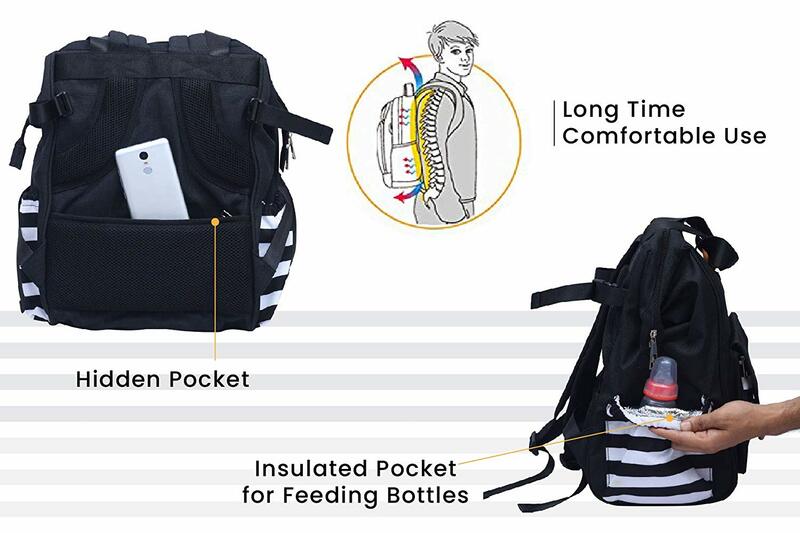 It so trendy and fashionable that it can be used as Backpack for regular use. Comes with more than 9 Pockets it has a large capacity to hold everything that your little one needed for their daily use. Caramello Delight Diaper Bags comes with Changing Mat which becomes handy for mother when needed for diaper changing for the little one.